Special Event Spectaculer F1_CLUB Batam. Friday Nite 10, Mart 2017. 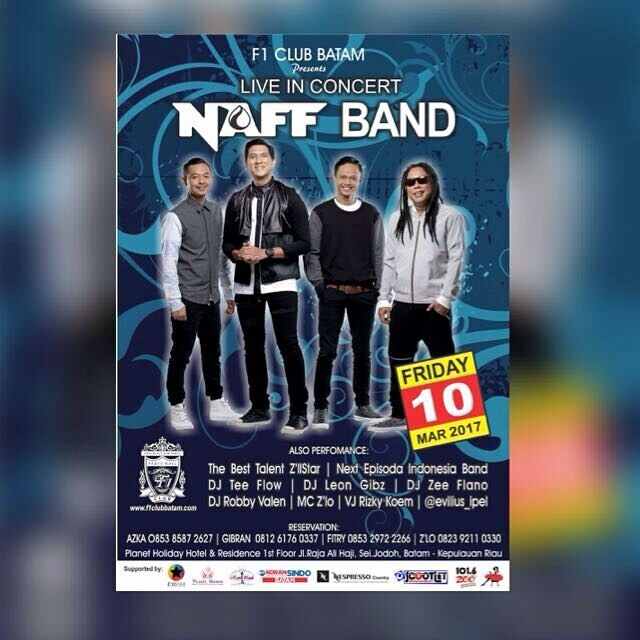 Proudly Present... LIVE IN CONSERT " NAFF Band "